buffalosabresnow: On the Winter Olympics and Team USA hockey. Amerks/Crunch in Buffalo tonight. On the Winter Olympics and Team USA hockey. Amerks/Crunch in Buffalo tonight. There probably was a contingent of USA hockey fans who checked their phones this morning and found out the that Team USA was ousted from the Winter Olympic Men's Hockey Tournament last night. Those fans may have been aware that the U.S. was in the quarterfinals with an opportunity to advance to the medal rounds and perhaps they knew that the game was just after 10 pm EST last night, which equated to a Wednesday, 12-noon start in South Korea. Had they been watching NBC prior to that 10 O'Clock hour they'd have seen a variety of events which included figure skating and alpine skiing while their sister station, NBSCN, was broadcasting the ladies short program in figure skating. Which is all well and good, except that I can't remember so much attention given to the short program. Perhaps I'm old, but I don't remember watching Dorothy Hamill, Tara Lipinski,, Kristi Yamaguchi, Nancy Kerrigan or Oksana Baiul and their opponents skate their full short program as usually television coverage started with the freestyle portion of the event. That said, there's a lot of air time to fill and figure skating is much more popular than men's ice hockey. At least when it comes to the Olympics. However, Team USA was in a do-or-die situation last night in men's hockey and if you were locked into either of those two NBC channels, the quarterfinal match wasn't on. It was only after NBC showed a live look-in about seven minutes into the game did we find out that, yes the game was being played and that it was on yet another channel, CNBC, their financial channel. For those who did miss the game, it was a good one. Ryan Donato opened the scoring for the Americans before the Czech's scored two unanswered goals. Thirty-five year old Jim Slater, a 2002 first-round draft pick (30th overall) of the defunct Atlanta Thrashers scored the game-tying goal with Team USA shorthanded. The U.S. almost ended it late in regulation as Brian O'Neill rang one off the crossbar (nothing like that sound) with under three minutes to go, but after a 10-minute overtime session, the Czech's scored one goal in the shootout while the Americans were shutout sending the U.S. home without a medal since their 2010 silver medal at Vancouver. The NHL did not allow it's players to participate in this year's Olympics which really threw a monkey-wrench into the tournament, making a team like the Olympic Athletes of Russia (a stupid title for a Russian team that had mass doping problems, even in curling, which should have banned a large number of it's athletes,) a prohibitive favorite. And it didn't make the NHL's flagship network, NBC, all that happy either as they just plunked down a huge chunk of change for broadcasting rights and the league did nothing to help their Olympic viewing audience by keeping NHL'ers home. Personally, I have no problems with the NHL not sending their athletes half-way around the world to essentially disrupt a condensed season. As a product of a time when professional athletes were barred from participating in the Olympics, perhaps the "Miracle" in me likes The Games to be about the spirit of competition, which is what it was meant to be in the first place. Soviet/Russian cheating not withstanding. The Americans lost night and Team Canada just got by a pesky Team Finland 1-0 earlier this morning without NHL'ers. An argument can be made that those two North American rosters were compromised the most by not having those players, but Canada will probably medal and the U.S. went home early, which was how it usually played out prior to NHL players being allowed to participate in 1998. I get that, and am OK with that. But how Team USA is really what irks me as they went heavy on the elder statesmen of US hockey and short on youth and skill. They were beaten by Slovenia in their opening game, overwhelmed by the Russians and eventually taken out by the Czech Republic. They looked slow on many occasions using what looked like only their will to get as far as they did. As a Buffalo Sabres fan, I'm of the opinion that they could have have used the speed, stick work and craftiness of Casey Mittelstadt in the wide expanses of the Olympic-sized rink. Sure, I might be a homer, but after watching a plodding U.S. team gut buried when it mattered most, with all due respect to Garret Roe, Chad Kolarik, Slater and Brian Gionta, how much worse could it have been with Mittelstadt in one of their places. Although he's not great in the shootout, in addition to his strong two-way 5v5 play, Mittelstadt is a beast on the powerplay. Of note, Team USA went 0-for-5 against the Czechs last night. At least Sabres had one of their prospects in Pyeong Chang. Defenseman Will Borgen, a 21 yr. old Minnesota native, made the team but never hit the ice for Team USA. Borgen is a 6'2" 187 lb. defensive defenseman who skates extremely well, takes care of his own end and moves the puck up ice. Perhaps he was too young as Team USA insisted on skating aged veterans like 35 yr. old d-man Noah Welch, James Wisneiwski (34,) and Ryan Gunderson (33) on the back end. 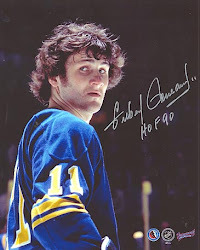 Having said that, perhaps it's better for the Sabres that Borgen didn't get to play at the Olympics. Borgen is a junior at St. Cloud State, the top rank NCAA D-1 men's hockey team. Having only watched the level of play on an international scale may really spark his competitive drive to the point where he'll forgo his senior season and sign with the Sabres. God knows he'll have plenty of opportunity in Buffalo as their blueline continues to transition. Although it was disappointing to see the U.S. lose, it wasn't unexpected. If the NHL once again withholds it's players from the 2022 Winter Olympics in Bejing, China, perhaps those in charge at Team USA will re-calculate how they want to build their team. Being short on overall skill is one thing, but not injecting a good amount of youthful exuberance is something that can be overcome. The NBC/NHL contract extension ends after the 2020-21 season so it will be interesting to see if the NHL renews with NBC. It will also be intriguing to see what kind of coverage men's hockey receives should the NHL not allow it's players, once again, to travel half-way around the world for the Olympics. And in the midst of all that, the NHL/NHLPA collective bargaining agreement expires after the 2018-19 season and if players are ticked about not being allowed to compete this year, you can bet you bottom dollar that will be a negotiation issue. The Rochester Americans are going to attempt to do something tonight their parent club, the Buffalo Sabres, haven't done a lot of at KeyBank Center--win. The Sabres, who are last in the Eastern Conference and have the league's worst home record at 8-18-4. In eight February home games the Sabres are 2-5-1 and have been outscored in those games 26-18. Rochester is in the midst of a playoff run that could take them to the post-season for the first time in three years and they'll be on the KeyBank Center ice tonight to face off against the rival Syracuse Crunch (TBL.) The Amerks (26-13-8-6) are a hundredth of a percentage point ahead of the Crunch (30-18-2-3) in the Eastern Conference. At one point the Amerks were josting with the Toronto Marlies (TOR) for first place in the division, but a tough 15-game stretch which saw them win only three times (3-5-4-3) has drppped them in the standings. The Crunch come into tonight's contest having won four of five and have gotten points in five of six. This will be the sixth time the Amerks host a game in Buffalo. 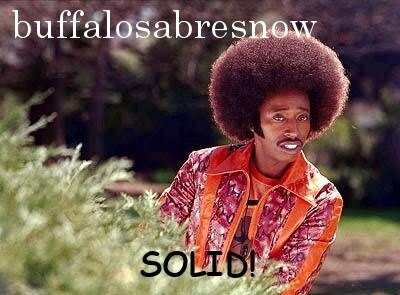 Overall they're 4-1-0-0 and are presently on a three-game winning streak on the Sabres ice.